Free Shipping in UK for orders of £20 and Free Worldwide shipping for orders over £95! Home / Blog / Should I be Eating Gluten Free? Should I be Eating Gluten Free? First things first, it is important to establish that the term ‘gluten-free’ does not necessarily equate to healthy. You can buy gluten-free products that are packed full of sugar and chemicals, so we want to dive into the reasons behind eating less gluten. Many of my clients say they are actively trying to go gluten-free to achieve a healthy weight and lifestyle, I ask why and they simply don’t know the answer. It seems that the media as a whole, has been aliening gluten alongside popular hashtags, such as ‘eatclean’ and ‘glow’. This in itself is another matter but with the ‘gluten-free’ being used alongside perceived healthy stars and food, it’s easy to see how things have escalated. The reality of the situation is that those who have a serious condition called coeliac disease, cannot tolerate gluten in their diets, their immune system reacts to gluten and leads to damage of the lining of the small intestine. This in turn causes the symptoms of coeliac disease, including bloating, diarrhea, nausea, tiredness and headaches. Many of my clients today however, experience a lot of the above symptoms and therefore assume the culprit is gluten, whereas in reality, it could be any number of things in their diet in lifestyle. That being said, intolerances are on the rise and are now finally being taken seriously, many people cannot break down gluten or lactose. If you are unsure as to whether you should be gluten-free or dairy-free speak to your Registered Nutritionist and get tested with your GP. 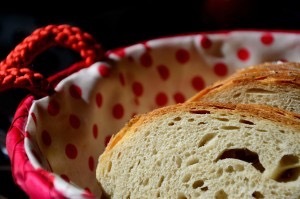 Avoid products manipulated to be ‘gluten-free’ such as ‘gluten-free’ bread, pastries or cakes. Opting for a healthy, high protein clean flour such as coconut flour or quinoa flour is a better way of making your own goodies and avoiding a starchy insulin spike produced by packaged items of food. Read the labels. It is surprising how many products contain gluten, from sauces to ready meals and soups. If you are coeliac or you live with allergies then I am sure you are well versed in this golden rule but it is good practice for us all to embark on. Plan ahead. You will need to think about your meals throughout the week, if your work doesn’t cater for gluten-free then it should but until that day you need to bring your own food. Having friendly snacks in your handbag or office desk is also a great idea, so you are not caught in a tricky situation when starving. Studies suggest we make the worst decisions when we are hungry. So don’t get caught in the hunger trap! Try a week of eating fresh foods only and see how you feel, by eliminating packets of food you are also reducing your guts exposure to chemicals, additives and extra sugars which all effect our digestion and well-being. Create a spice rack. Your kitchen should have one; it’s a great way of creating wonderful sauces and marinating food without risking any gluten contamination. It also ends up tasting far better too! I also like to have fresh ginger or turmeric in the fridge! Oats, these are naturally gluten-free but are often produced in factories, which are not and therefore, your oats become contaminated with gluten. You can buy gluten-free oats, which assure the product is sound so you do not have to miss out on your favourite bowl of porridge in the morning. If you don’t break down oats well then switch to Chia Seed Puddings! Start by keeping your meals simple. This should keep you on track by just focusing on a few ingredients and keeping temptation at bay with unknown ingredients, once you nail the art of cooking from scratch you are well under way to having a healthy gluten-free lifestyle. In no time, you will find a new normal, as you adjust to your gluten-free routines! Rhiannon Lambert BSc MSc ANutr is a Registered Nutritionist specialising in Weight Management, Eating Disorders and Fitness Nutrition. Having obtained a first class honours degree (BSc) in Nutrition & Health and a Masters degree (MSc) in Obesity & Eating Disorders, Rhiannon has built upon a wealth of knowledge acting as Resident Nutritionist at London’s most renowned Harley Street private clinics, fitness boutiques and NHS hospitals. As a professional soprano trained at the Royal Academy of Music, Rhiannon learned the importance of living a healthy lifestyle from an early age. Having won Classic FM’s Singer of the Year at 17, her belief that nutrition can play a significant role in your overall health, wellbeing and appearance has been tested performing around the world. Meet our Ambassadors Tsuki & Will! 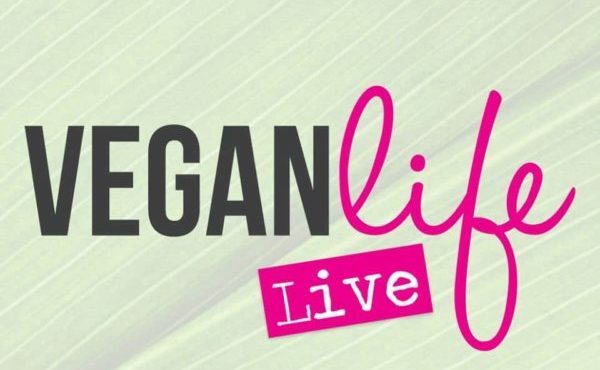 Come see us at Vegan Life Live! Receive the latest news and exclusive discounts!